The Sindh Government has planned to start intercity bus service and has signed an agreement with a transport company on Monday. The service is named as Shaheed Benazir Bhutto Intercity Bus Service which is planned to start from 23rd March 2015. The project is divided into different phases and total 500 buses are included in the project. 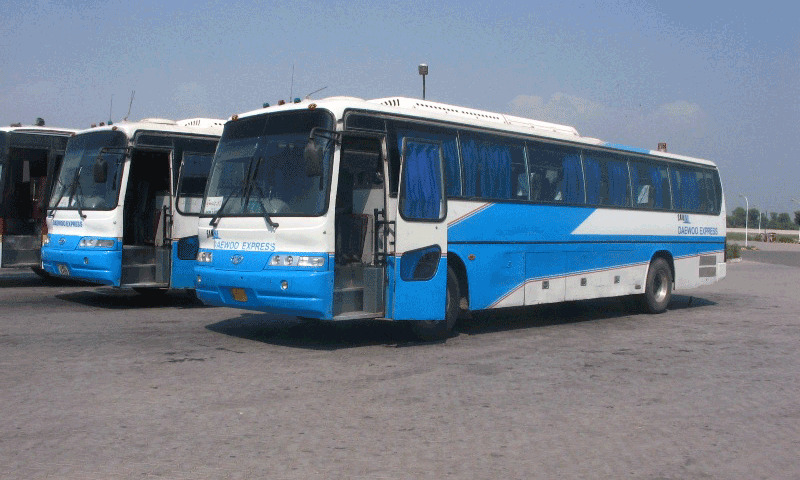 In the first phase, atleast hundred buses will be operational between Karachi and divisional headquarters of Sindh. The facility would be extended up to each district in next phases. The ceremony held in CM House between the Sindh Government and foreign transport company Daewoo Express under the public private partnership mode of investment. The cost on the first phase will come about 2 billion rupees. Transport Secretary Taaha Farooqi signed the agreement on the behalf of Sindh Government while the other officials including the Sindh Chief Minister Syed Qaim Ali Shah and Transport Minister Mumtaz Jakhrani were also present at this occasion. Out of the total cost, provincial government will pay Rs. 645 million while the remaining amount will be borne by the Daewoo Express. It’s Daewoo’s responsibility to provide both buses and build the terminals and other ancillary facilities in the next ten years. Sindh Minister Syed Qaim Ali Shah while addressing the ceremony has said that the bus service will play an effective role in the economy of the province and will open new ways and jobs for the prosperity of the public. He assured the chief executive officer of Daewoo for the every possible support of Sindh Government.